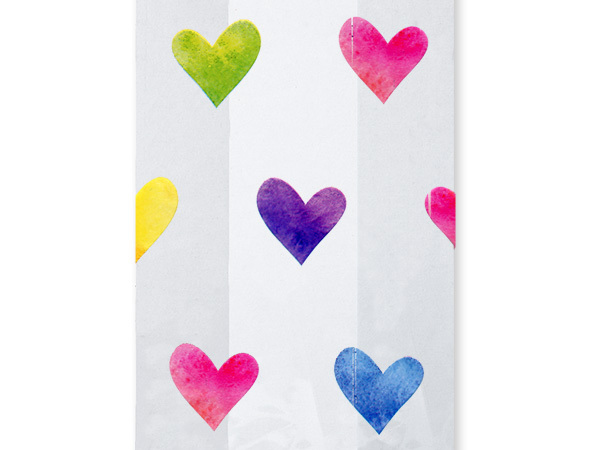 Watercolor Hearts 5x3x11 Cello Bags. Capacity: 5 cups. Top quality! Made in the USA.